Replacing the roof is a big project that must be planned ahead, with the implication of a specialist able to guide you and help you make the best choices according to the budget you have at your disposal. Replacing a roof, be it residential or commercial, is a long-term investment, but also expensive, that is why you have to be prepared. 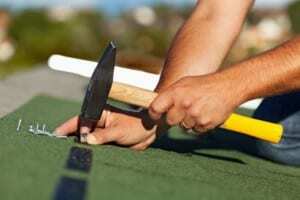 The first step is to find a good Colorado Springs roofing company, licensed and insured, who can support their experience with a portfolio and with references from previous clients. It would be a good idea to contact some of these clients, just to find out how their roofing projects went and whether they are happy with the results. Once you choose a roofing company and receive an estimate, you must identify sources to obtain the necessary money, if you do not have them already. Finally yet importantly, another thing to think about is the type of roof cover you want. Perhaps one of the reasons why you now change the roof is precisely the questionable quality of the materials used in the first place. So, this time, you might want to focus on other types of materials or at least on a manufacturer whose reputation is impeccable and which provides adequate product warranty.